Oak Ridge dispatchers and emergency workers switched to a new radio system last week that uses encrypted communications, and access is restricted to public safety employees. That means that people who have listened to Oak Ridge police and fire communications, among other radio transmissions, on scanners and scanner apps but aren’t public safety employees such as police officers or firefighters will no longer be able to listen. That includes reporters. 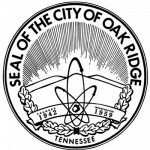 “For the safety of our officers, the Police Department does not have any plans at this time to allow access to the radio system beyond public safety employees,” City of Oak Ridge spokesperson Sarah Self said in a brief statement Tuesday, January 29. The switch was apparently made at about 1 p.m. Monday, January 28. Oak Ridge Today has not heard Oak Ridge dispatchers on the radio since then. Oak Ridge Today asked what steps the city will take to ensure that people continue to stay informed at least about major police and fire incidents since reporters and the public will no longer be able to listen to emergency communications. “We will continue to work through our public information officer to share information about significant events,” Oak Ridge Police Chief Robin Smith said in a statement this Monday. During two Oak Ridge City Council meetings in 2017, former Oak Ridge Police Chief Jim Akagi said the new Motorola system will extend the radio system’s range and provide better communications, better coverage, and interoperability with other public safety agencies. “Most importantly, it will encrypt our radio transmissions,” Akagi said. Encryption uses a secret code to protect data by preventing access by anyone who doesn’t have a decryption key. The Oak Ridge dispatch system is primarily used by the Oak Ridge Police Department and Oak Ridge Fire Department. But other departments use it as well, including the Oak Ridge Electric Department, Oak Ridge Public Works Department, Oak Ridge Recreation and Parks Department, and Oak Ridge Schools. Besides Oak Ridge, other law enforcement agencies have also switched to encrypted radio communications systems. The Knoxville Police Department and Knox County Sheriff’s Office switched their systems in August. The discussion about the moves to encrypted communications has included debate over issues that include the need to protect officer safety and the desire of the public to know what is happening in their community. In October 2017, Akagi said, through a statement from Self, that reporters will not be able to access the public safety communications channels in Oak Ridge, such as through a digital decryption key. That continues to be the plan under Smith. The new radio system, estimated to cost about $4.28 million, was to include the construction of a 150-foot tower, repeaters, a microwave link from Louisiana Avenue to Windrock Mountain, and system-compliant radio and related equipment, according to information included in an Oak Ridge City Council agenda for an October 2017 meeting. During that meeting, Council voted 5-0 to approve a debt resolution that allowed up to $21.35 million in bonds to be issued for bond refunding and about $14 million in new projects, including roughly $3.36 million for the radio system replacement. The amount of debt required for the system was reduced by about $840,000 in grant proceeds, including funding from the U.S. Department of Justice. Two months later, in December, Council voted 5-0 to purchase about $4.28 million in equipment for the new system. All but about $85,o00 of that was to buy Motorola P25 Mission-Critical Radio System equipment using state contract pricing, according to that November resolution. The new equipment would allow the city to join the Tennessee Valley Regional Communications System, or TVRCS. “By joining TVRCS, users will be able to communicate with outside agencies more effective,” that resolution said. At the time, several public safety agencies surrounding Anderson County had joined the TVRCS: Roane County, Loudon County, Knox County, and Blount County. Anderson County Sheriff’s Department is also a member, the resolution said, and uses TVRCS for some of its public safety communications. In a memo to City Manager Mark Watson, Akagi said at the time that the city had purchased its previous radio system in 1989, before TVRCS was available. A TVRCS radio system would greatly increase coverage and building penetration by providing three primary repeater sites, which would provide more coverage, depending upon the location of the user, Akagi said. “This would dramatically increase safety for users during critical incidents in these locations,” he said. The previous radio system provided minimal or no coverage for portable radio users in some outlying areas and larger buildings in the city, Akagi said. He said TVRCS is a well-established network and the most economical option for enhanced citywide radio communication. The initial cost of joining TVRCS is about half of the cost of purchasing a stand-alone radio system, which would require Oak Ridge to purchase and manage future upgrades, Akagi said. You can see Akagi’s comments starting at about 01:30:05 in this City Council video from December 11, 2017. You can see Akagi’s comments starting at about 01:01:35 in this City Council video from October 9, 2017.